Kentucky: A Cincinnati Pastor convicted of killing the Pendleton County Commonwealth Attorney while driving drunk will spend 20 years in prison. 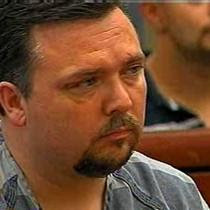 Pendleton County Judge Gregory Bartlett gave 41-year old Daniel Keith Gabbard the same 20-year sentence recommended in January by the jury that convicted Gabbard of wanton murder in the death of Doug Wright. Police say on June 8, 2009, Gabbard was drunk when his semi crossed U.S. 27 and struck Wright's car, killing him instantly. Wright was on his way home from work at the time of the accident. According to police, Gabbard drank 16 beers in four hours while behind the wheel of his truck and his blood alcohol level was .18 an hour after the accident. Is he by any chance related to Mark Gabbard?